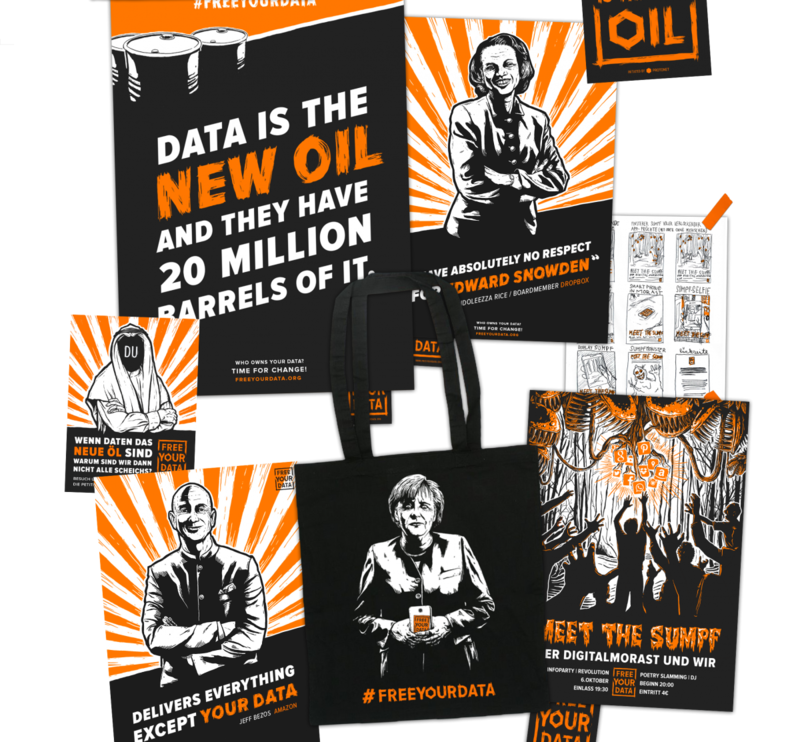 We had already created an entire brand identity for and with our favorite startup rebels from Protonet – so when they initiated the Free Your Data campaign, we wanted to be on board of course. With the campaign, they called for a new law – The European Data Sovereignty Act – and demanded full data transparency from corporations. 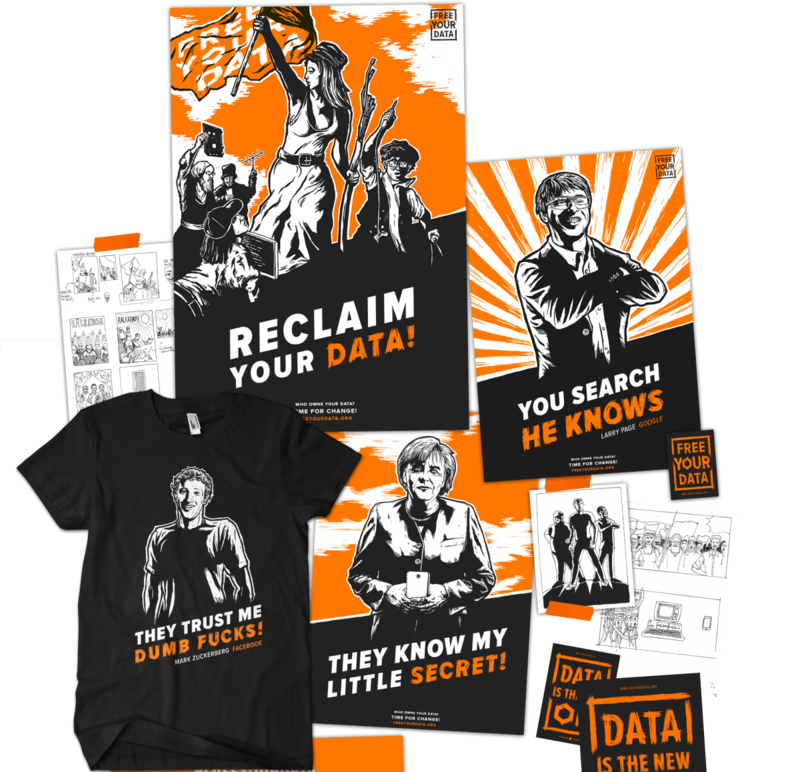 The Free Your Data campaign was committed to putting citizens back in control of their personal data – a cause we definitely wanted to support. 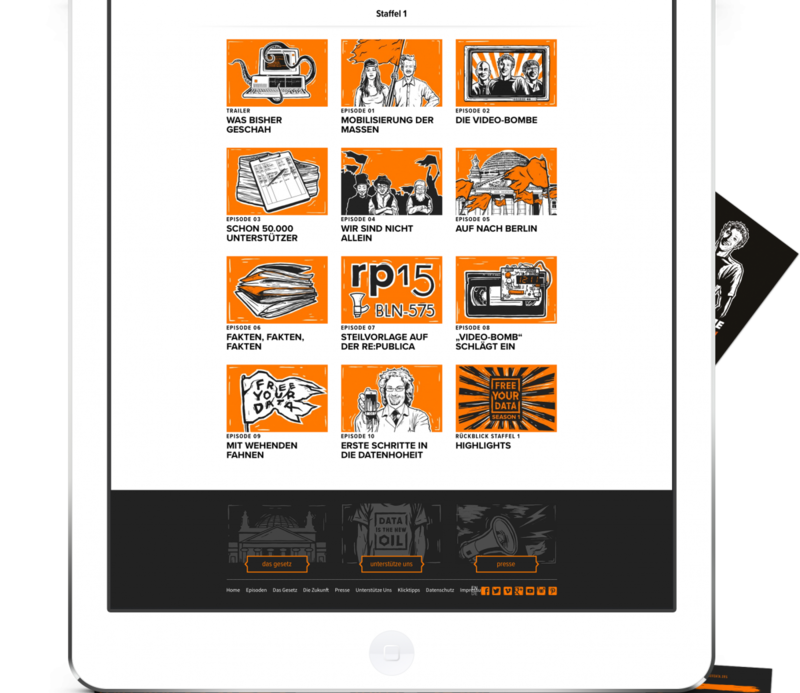 The challenge with the FYD campaign was walking the fine line between creatively bringing to life a startup idea and cutting a real sociopolitical matter to the chase. Accordingly, we combined the look and feel of a political campaign and its revolutionary character with polarizing illustrations and powerful messages. The key message of the movement was to give back #choice and data sovereignty to citizens – and use the power of the crowd to do so. As a result, more than 60,000 people signed the petition.